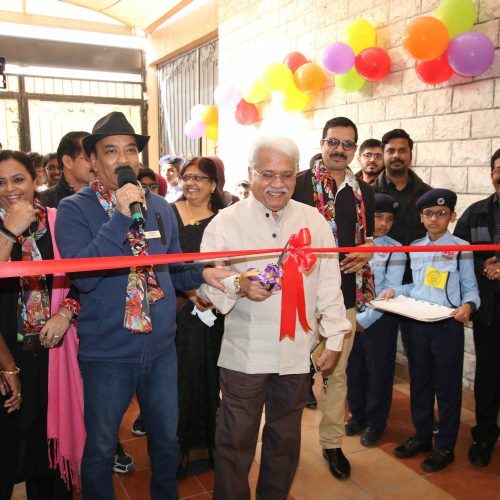 Bhavan in the Middle East is a decade long far-sighted endeavor sowed in the golden sands of the Middle East to uphold the glory of the tradition, culture and education of our great mother land India. A multitude of Indians who are forced to leave their country for the Gulf make the best use of the shades of experiences in almost a dozen of institutions of Bhavan in the Middle East, and keep abreast the feel of India. 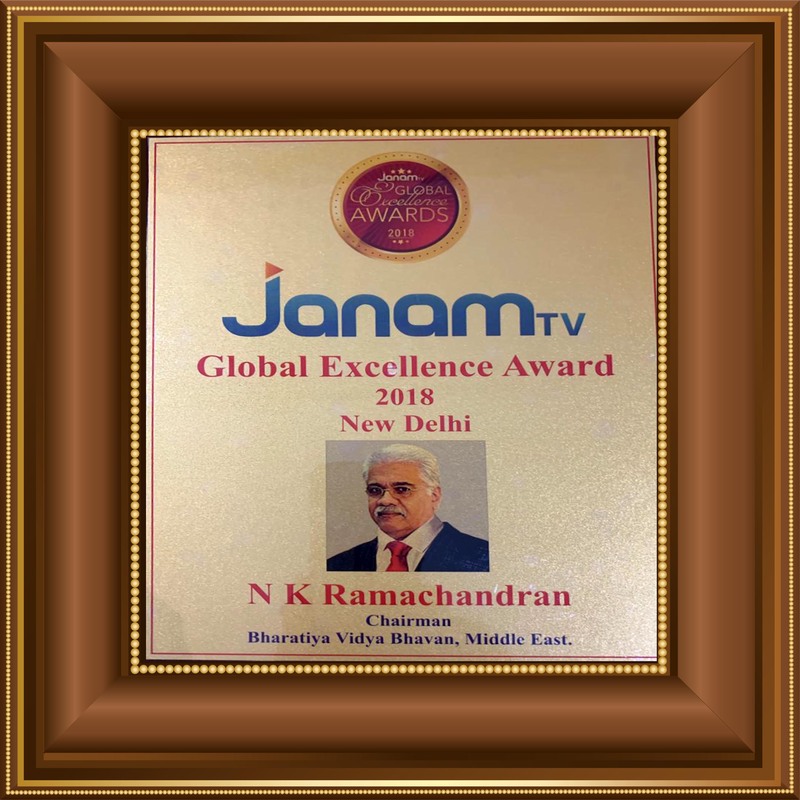 Recognizing this matchless service to the nation, Mr NK Ramachandran Menon, the chairman, Bhavan Middle East has been bestowed the global Award of Excellence upon him by the Janam Television, India. Bhavan Family in the Middle East is overwhelmed with excitement and joy in expressing our congratulations to Sir on his well-deserving honor. We would also promise Sir on this auspicious occasion that we will devote our dedication to rise up to his expectations to meet the demands of the growing generation. All the best to you Sir. Let Noble Thoughts Come to Us from Every Side.